Road Risks Insurance From Just £486! Policies From Just £486 Per Year! Our Road Risks insurance for Motor Traders is designed to give you complete peace of mind when buying and selling vehicles from the comfort of your own home. While we can also incept motor trade policies for traders who operate from a premises, we find that the majority of our clients do buy and sell cars & vehicles from home. 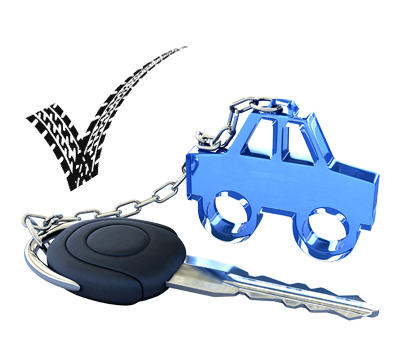 Choose Your Indemnity Level - No matter whether you buy and sell cars with a value lower than £50,000, or £5,000, we have different levels of indemnity cover available for you to choose from. Comprehensive or Third Party (Fire & Theft) - You can choose which level of cover you have. Going for Third Party can often reduce costs, whilst a comprehensive insurance policy will provide you with more cover - such as protecting you for accidental damage. Demonstration Cover - We know that showing your vehicles to your customers is important. That's why we can often secure demonstration cover on our policies - which allows your customers to effectively have an accompanied test drive. No Claims Discounts - Have you operated a motor trade business for numerous years? If so, you may have accumulated no claims bonus. If you have no claims bonus available, we can often offer a level of discount depending on the total years bonus you have. What Does Road Risk Insurance Cover Me For? A Road Risks insurance policy will cover your vehicles, and your customers vehicles against any potential risks encountered while conducting business on the UK public roads. Often considered as the most "basic" type of motor trade policy, a motor trade road risks policy will allow you to add and remove vehicles from the MID (Motor Insurance Database); which helps to ensure that you're legally insured, and allowed to drive the vehicle on public roads. Third Party Only: this insurance policy covers you against damage to other vehicles, other people and any property another person owns. For example, if you crashed into another vehicle on the road, then your vehicle would not be covered - but the third parties would. This is considered the most basic level of cover; and it is a legal requirement to drive a vehicle on the road with at least third party cover. Third Party, Fire and Theft: this level of cover offers the same as above, except it also includes fire and theft to vehicles which you own. Comprehensive: this level of cover once again covers all of the above, including accidental damage. Some policies will also come with vandalism cover and windscreen cover. You can also claim against the policy in the event that you sustain personal injury. It's imperative that you choose the correct level of cover needed for your business. As a road risks insurance broker, we are authorised to provide advice to our clients. We can answer your questions about which cover is best for you - and can often work with you to secure the right policy at the right price.